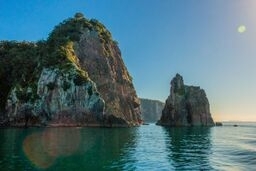 Gulf Eco Adventures, Auckland, New Zealand. Information, Photos and Reviews. 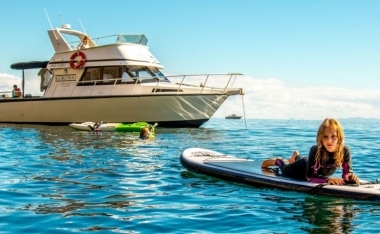 Gulf Eco Adventures takes you on unforgettable boat trips to the most pristine & remote islands of Auckland’s Hauraki Gulf. Our Trips are adventure-based with a touch of education on conservation & ecology. Activities include snorkeling, kayaking & paddle boarding, with all equipment supplied FREE on our island day trips. Our fast modern launch has a capacity of 12 passengers so you will be guaranteed a friendly, comfortable journey. We also have a large open upper viewing deck great for wildlife viewing. We encounter dolphins very regularly, as well many sea birds, penguins, sharks and sting ray. 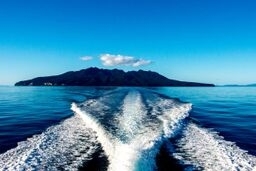 We are situated just 45 minutes drive north of Auckland city, providing you with the best and quickest access to some of New Zealand's most spectacular scenery, nature reserves, wildlife sanctuaries & marine reserves. 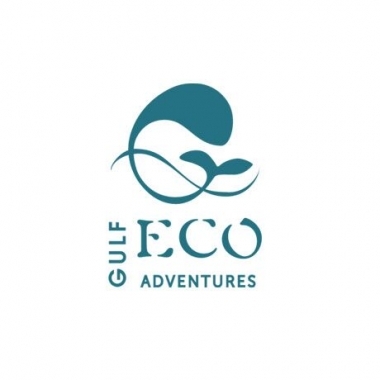 Nobody has reviewed Gulf Eco Adventures yet, Be the first. You are submitting a booking enquiry. Gulf Eco Adventures will then contact you by email with details of availability and prices.